Presonus Sceptre S6 - The first time you hear Sceptre-series CoActual™ 2-way studio monitors, you’ll discover fine nuances of your music that can’t be reproduced by conventional designs. The Sceptre’s panoramic soundstage, fine detail, and stunning dynamics will astonish you. Solving the problems involved in coaxial designs requires massive amounts of DSP and subtle, sophisticated transducer design, which is why such systems have, in the past, been limited to very high-end systems with external processors. However, Fulcrum Acoustic’s amazing, cutting-edge technology has allowed us to overcome the usual design problems of coaxial systems while taking advantage of coaxial’s unique properties. Thanks to custom transducers and TQ algorithms designed by Fulcrum’s Dave Gunness, Sceptre CoActual monitors deliver clarity and coherence that has previously only been available in ultra-high-end systems. Multi-way, non-coaxial speaker designs have long been the way to go in speaker applications. But they suffer from the changing relationship between the listener and the speaker elements: When you move around in the coverage area, the sound is inconsistent. Even more troublesome, the crossover point between the drivers can sometimes be audible. 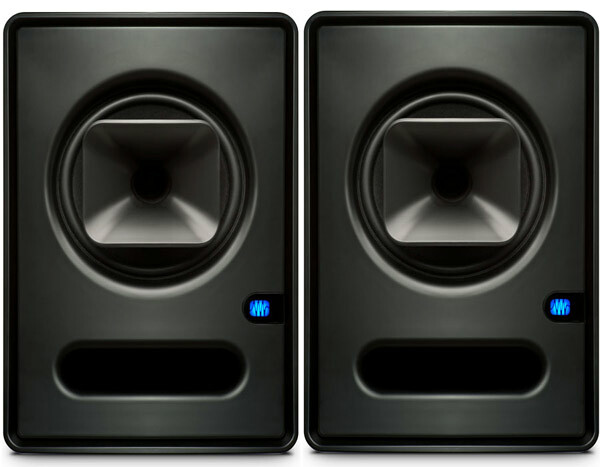 Each Sceptre monitor contains a DSP chip that enables the use of Fulcrum Acoustic’s TQ algorithms. The result is speakers that deliver the full benefits of coaxial design. Sceptres provide extensive user-adjustable contour features that let you optimize the monitors for any mixing space. The Sceptre S6 has a 6.5-inch low/mid-frequency driver and a 1-inch (25 mm), horn-loaded, high-frequency transducer into a single coaxial unit with aligned voice coils. It has front-firing acoustic ports. The system is bi-amplified: Each transducer is powered by a 90W RMS, Class D power amp with an internal heat sink. Each Sceptre has its own internal power supply with IEC connector and a power switch with on/off LED.